Zhanna Arkhangelskaya has been involved in practice and research in the field of the renewal of youth and health of facial skin already for 20 years. She was trained in the field of medical science and physics. She is also interested in the fundamental knowledge of man. 10 years ago she established her own school devoted to natural health improvement and facial skin rejuvenation massage where she trained cosmetic care experts in the YOUNGFACE technique. As a follower of the wellness philosophy, Zhanna believes that the path to beauty is possible in harmony with the nature of man and with care for the health of the skin and the body as a whole. This is the essence of true beauty. Having tried many state-of-the-art scientific techniques and ancient practice conveyed to her by an Altay healer over several years, she has succeeded in developing the YOUNGFACE system of the quick and effective natural rejuvenation of facial skin. Many years’ practice in Moscow enabled her to achieve excellence in her art and earn the trust of more than a thousand regular clients. In Russia this method is widely known by the name of ‘tonic beat’. Zhanna Arkhangelskaya currently lives and works in Prague, being the only expert in Europe with mastery of the YOUNGFACE deep plastic massaging methodology and face rejuvenation massage. Moscow, Saint Petersburg, Kiev, Vilnius and Odessa are only a few of the cities where Zhanna Arkhangelskaya has been invited to carry out visiting 4-day treatment sessions for the YOUNGFACE technique. Zhanna’s clients include well-known and successful people from Russia and Europe who care for their health and know what true beauty is. 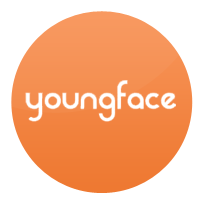 The YOUNGFACE technique has been patented.